Our homes are a refuge – a place where we and our loved ones should be safe from harm. Nevertheless, thousands of homeowners and their family members suffer serious personal injury or death because of construction defects every year. If you have been injured because of a construction defect, you could be entitled to compensation for lost wages and medical expenses, as well as for pain and suffering. Contact the Colorado construction defect attorneys at Burg Simpson by calling 303-792-5595 if you have been hurt at home by a construction defect. Or fill out our FREE CASE EVALUATION form right now. Misrepresenting the relevant facts or insurance policy provisions. Failing to investigate a claim. Declining to pay a claim. Refusing to pay a claim quickly. Discouraging a claimant from hiring legal representation. Rejecting a potential claim settlement. Not properly defending their insured against a lawsuit. Asking your adjuster to confirm, in writing, all information requests. Providing your insurance company with as much information as possible about your incident. Questioning your carrier about why they might need information you are unsure about. Getting all promises and representations in writing. Taking a polite, proactive approach to any discussions. Challenging the insurance company’s adjustment estimates, even if they are produced by an algorithm. It is always a good idea to secure independent estimates, too. Getting your insurance company to clarify anything you are unclear about. In general, do not be afraid to ask questions. Reaching out to a lawyer trained in insurance law. Unfortunately, insurance companies that are acting in bad faith are not always willing to negotiate. 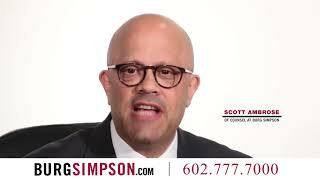 If your insurance carrier forces your case into litigation, the Denver construction defect attorneys at Burg Simpson have decades of courtroom experience. If you suspect that an insurance company is acting in bad faith by refusing to live up to their promises and provide you the reimbursement owed to you, you could be entitled to file a bad faith claim against your insurance company. 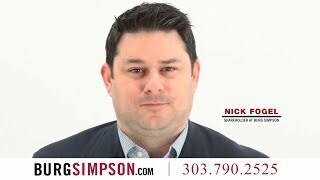 Call a construction defects lawyer at Burg Simpson before it is too late at 303-792-5595. If you have suffered an injury from any of these sources, we will effectively represent you. 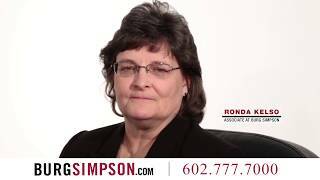 Burg Simpson has extensive experience negotiating with the insurance companies for construction companies. Our experience as construction defect attorneys helps our injured clients because we understand the obligations of construction companies. Too many homeowners suffer injuries due to construction defects or fire, leading them to turn to insurance companies for help. Only to then be left in the cold as the insurance companies pull out obscure policy exclusions. Our litigation lawyers have taken on some of the biggest insurers. We have the experience to effectively protect your interests. The nature and extent of the personal injury. The extent of each party’s liability. The potential economic loss the victim suffered, based on a variety of factors. Evidence of pre-existing medical conditions that might mitigate the value of the case and available insurance. The types of damages that can be recovered include economic, non-economic and even punitive damages. Get in touch with us as soon as possible at 303-792-5595 to schedule a free, no-obligation consultation related to your insurance dispute, catastrophic injury claim or wrongful death lawsuit. Because each person’s situation is unique, and the law is constantly changing, please do not rely on anything on this website as legal advice. To understand your legal rights you must speak directly to a lawyer about your problem. If you think your new home has been built with defective materials, call the Denver construction defect lawyers at Burg Simpson today at 303-792-5595 or fill out our FREE Case Evaluation Form now for a no obligation assessment of your case. We work on a contingency fee basis.